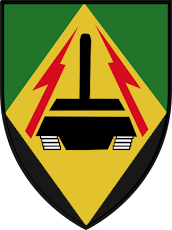 The brigade was formed in 1972-1973 as a M48A3 "Patton" tanks' brigade within the 143 rd GHQ Reserve Division. 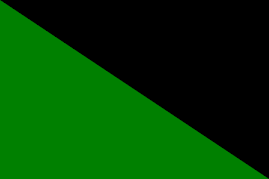 The brigade was a reserve unit, and when the 1973 war broke out, it had not completed the process of forming up. 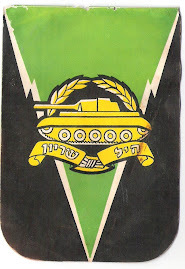 Having been called for active service in the morning of Yom Kippur, October 6 1973, the brigade went through an arduous process of mobilization. 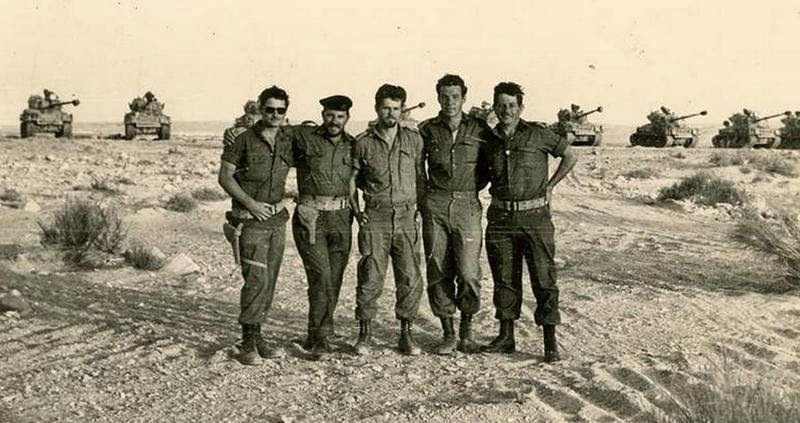 Nevertheless, at dawn, October 7 th , the brigade's units organized and started moving towards the Sinai Desert. The battalions had to travel 300-400 kilometers on tank tracks. 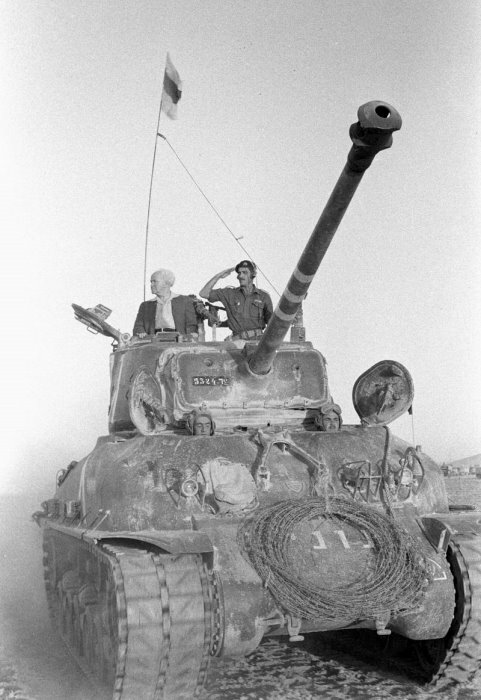 At the end of that same day, the second day of the war, the brigade, commanded by Colonel Chaim Erez, reached the central sector of the Suez Canal front. 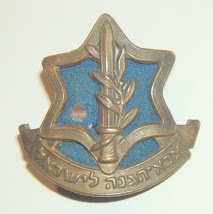 The commanders of the battalions were Major Giora Lev, Major Ami Morag, and Lieutenant colonel Shimon Ben Shushan. The division commander was General Ariel Sharon. During its' first week in the war, the brigade participated in the Southern Front's effort to contain and block the advance of the Egyptian offensive. The brigade fought along the Tassa-Isma'ilia road, participating in several bloody battles on a long sandy dune blocking that road, code named "Chamutal". The brigade lost 19 of its soldiers in these battles. 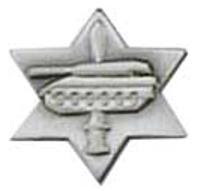 The unit gained combat experience during these battles that ultimately ended in a tank-to-tank battle against the 14 th Egyptian tank brigade on October 14 th . The tanks of the 421st brigade heavily mauled the Egyptian brigade, scoring 50-70 destroyed Egyptian tanks, loosing only one tank. Following this battle, the brigade was pulled out from the "Chamutal" area, and received orders to start preparations for crossing the Suez Canal. The brigade was assigned to deliver the engineering equipment needed to cross the Canal, including amphibious rafts, pontoons, and a large 600 foot roller bridge. The crossing of the canal was planned to take place near the point where the Suez Canal flows into the Great Bitter Lake. On the night of October 15 th , most of the brigade's tanks were occupied in towing and defending the bridging equipment. The rest of the brigade took part in a battle to occupy the "Chinese Farm", an Egyptian Army stronghold that controlled the access roads to the Canal crossing point and threatened the entire operation. Shortly after sunrise on October 16 th , while the battle at the "Chinese Farm" was still raging, the first tank of the brigade crossed the Suez Canal, followed by 27 tanks and 10 APCs, all of which crossed the Suez Canal on "Gilloit" self propelled rafts. This armored crossing of the Suez Canal turned out to be the turning point of the war on the southern front, as the IDF shifted from a defensive position to offensive initiative on the Egyptian mainland. After crossing the Canal, the brigade's task force organized as an armored reconnaissance group. 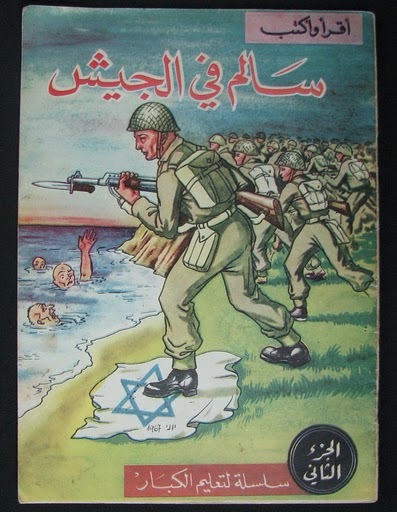 The mission was to destroy anti-aircraft missile bases, and thereby enable the Israeli air force to operate freely on both sides of the Suez Canal. For several hours on October 16th, the task force traveled some 100 kilometers deep inside the Egyptian territory, destroying in its' wake anti-aircraft missile bases, tanks, vehicles and equipment of the Egyptian army. The Egyptians were overwhelmed by the onslaught. In the next days the rest of the brigade joined the task force, and the brigade enlarged its' bridgehead on the West Bank of the Suez Canal. 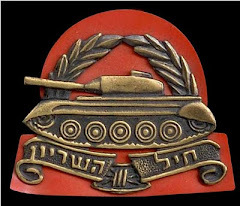 Other units of Sharon's division and other divisions crossed the canal and created a large IDF hold in the West Bank, capturing the Egyptian 3rd Army in a pocket. 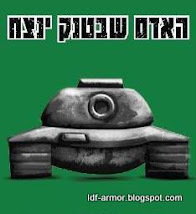 By the time a cease-fire was declared on October 24 th , the 421 st brigade controlled 250 square kilometers of Egyptian territory, holding the Northwest corner of the enclave occupied by the IDF in mainland Egypt, approx. 110 km from Cairo. 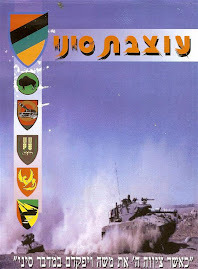 The brigade held these positions until the evacuation of the West Bank in February 1974, and thereafter its' personnel were released from active reserve duty. 47 of the brigade's warriors fell in battle. The brigade continued to serve as a reserve unit until its' decommissioning in 1986. Untitled from hativa 421 on Vimeo.